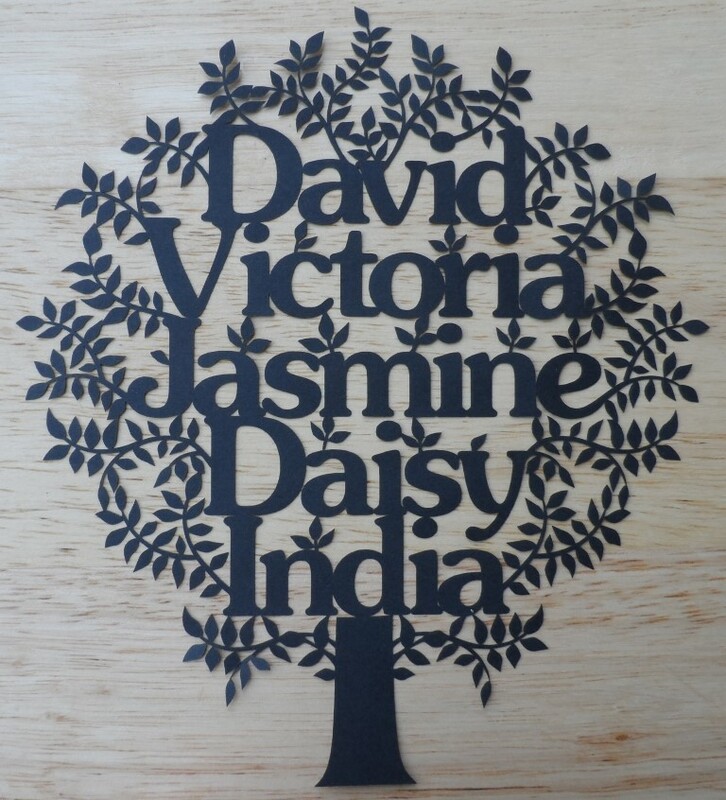 Last week my sister Jackie rang to ask if I could make a laser-cut “Family Tree” for her friend’s anniversary. Her friend Victoria really really liked the hand-cut trees that are available from Eticut on NotOnTheHighStreet.com, but apparently they couldn’t make the piece in time for the anniversary. So I and my trusty laser cutter (I really must come up with a name for it) were asked if we could step in and create a tree with names on it. … and I think it’s one of the nicest things I’ve made. I even managed to find a font called ‘Jasmine UPC’, which seemed appropriate.